Winter is in full-swing, and not a creature is stirring; not even a mouse…or is there? You might think that the cold winter weather might put you in the clear as far as pests go, keep in mind that your property is great winter shelter. Just because you don’t see any pests, it doesn’t mean they aren’t around. Pests aren’t just annoying on a personal level, playing host to other creatures and critters can be costly and unhealthy. Even if you haven’t seen or caught a culprit red-handed, there are subtle clues that can help you determine if you have some unwanted inhabitants. Ten signs you have a pest problem in your property. While the best option is to call an exterminator at the first sign of termite damage or habitation, you aren’t able to call professionals unless you know the signs of an infestation. Termites commonly enter properties through cracks or openings in slabs, chimneys, and pipes, and inspections should be conducted once a year. Inspect the property for termite mud tubes, especially in areas where wood is nearby or is resting on the ground. This includes all weather boards, wood supports, window frames in walls and basements, sills, etc. To efficiently check for soundness, just tap on the area with a small hammer or probe the area with a screwdriver. 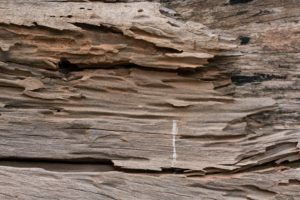 These two methods make it easy to detect the sound and feel of hollow wood, and if such an area is found, it’s likely you might have a termite infestation. Also, make it a point to search for the mud tubes created by subterranean termites. These can commonly be found construction joints, such as where porches meet the foundation wall, or between baseboards and sheetrock. Needless to say, if such evidence is found, call an exterminator or take extermination steps immediately. 2) What’s going on outside? Whether your property is in the countryside or the middle of the city, it could be in the midst of breeding grounds or nesting areas of rodents, insects or parasites. When looking for evidence of pests, don’t just look indoors. Make a note of the surrounding area and whether there are any alleyways, unenclosed wiring boxes or pipes, or other habitable spaces. If you have unused outdoor spaces that could become a haven for unwanted critters, then maybe consider giving your outdoors a revival. Also, if your home happens to be next to any sort of body of water, keep in mind that stagnant water becomes a hotbed for mosquitoes in the spring and summer. Of course, pawprints are among the most obvious of clues critters are roaming about, and the footprints left by animals such as opossums and raccoons. While these tracks are often visible to the naked eye, the tiny pawprints of rats and mice may not be as obvious. 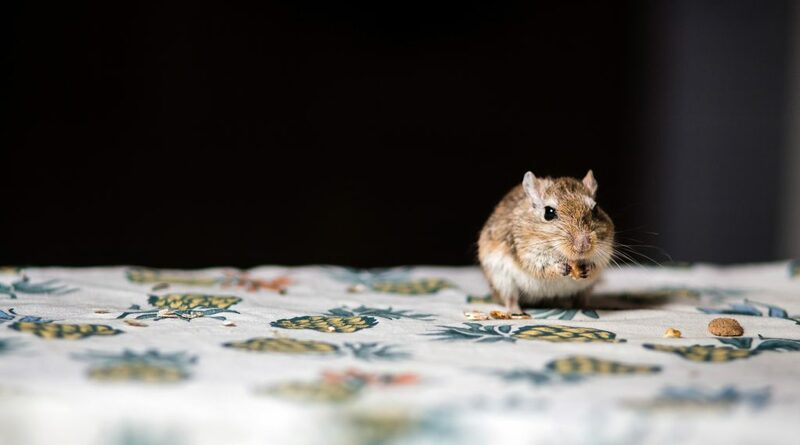 What most people don’t know is that mice and rats are creatures of habit. As such, they tend to travel along the same pathways and leave trails behind them. Look for signs of well-traveled paths in dust or dirt, but also make a note of dark grease marks or trails of excrement left by rats as they run along walls. Did you just stumble across a rats’ nest in the basement or a family of cockroaches in the bathroom? Don’t stay in denial. Just call an exterminator. Finding the remains of what was a former inhabitant is a classic sign of infestation. Look for dead bugs along window sills. If there are many dead bugs of the same species, then that could mean they live somewhere nearby. Also, if you happen to find a dead animal such as a rat or squirrel, keep in mind that they had to find their way inside your home before living, and, ultimately, dying there. There may be a nest nearby, or a family left behind. On that note, odd smells coming from within walls and crawlspaces are, pardon the pun, a dead giveaway. 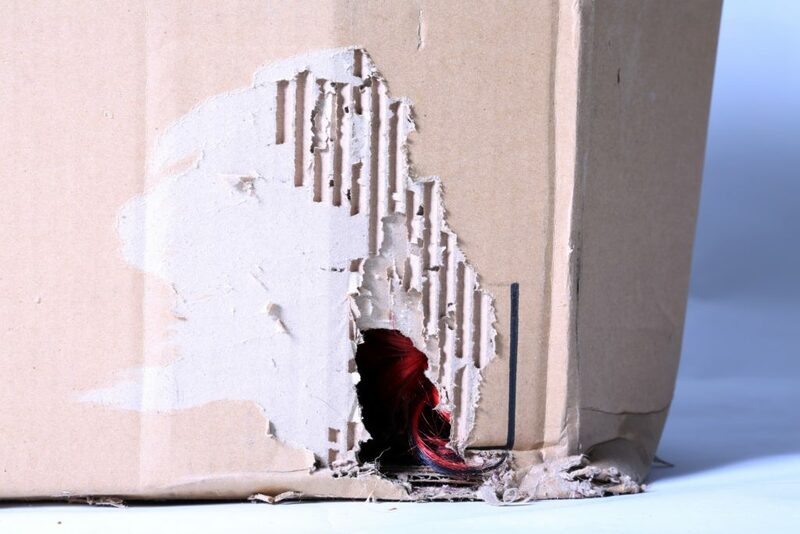 Rodents love to burrow and chew their way through things, and evidence of this can be found on furniture and wires; walls and floors; boxes in the attic or bins in the basement. Use a flashlight and make a point to especially look through small, dark areas for such marks, as gnaw marks and holes are classic evidence of pests. 7) What was that sound? Just as important as being on the lookout for clues like these, keep an open ear for sounds of scurrying, scratching and squeaking beneath floorboards or within the walls. Most of the time, pests are more active at night, and you can hear them moving about. 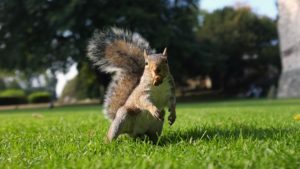 It’s likely that banging and thumping you have heard in the attic isn’t a ghost; it’s probably just a family of squirrels. And in that case, you should work on evicting them. If the property has neighbors, it’s possible they could be experiencing some of the same problems. Ask around and see if you can get to the bottom of your suspicions, you may not be the only one with unwanted visitors. 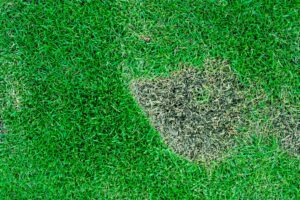 Patches or patterns of lawn damage are often indicators of pests. Do you have any unexplainable large, circular brown spots or uneven levels of grass? Sometimes, you can even find trails traveled by insects or other creatures and gnaw marks on blades of grass or leaves. Find the pest, then you can start breathing life into your curb appeal again. Droppings and evidence of excrement are typical with any level of infestation. And, as gross as it may sound, it may benefit you to research the different types of pest excrement. If you haven’t yet seen the culprit, you can determine the type of pest by its droppings, and, therefore, have a better idea of what kind of pest you are up against. Make sure that all your evidence, however, is thoroughly cleaned. Pest droppings can sometimes carry dangerous pathogens and diseases and can easily contaminate your property and those living there. Pests are a nuisance, but finding your next investment doesn’t have to be. We hope that you cover all the bases when it comes to checking for pests, but, sometimes, these things can slip through the metaphorical and literal cracks. That’s why we work hard to make sure we cover all the bases when it comes to your questions about wholesale real estate properties. New Western is growing and we are working to establish ourselves in real estate markets coast-to-coast. With a widening reach, our number of investment properties is growing every day, and investors have even more chances to earn a profitable ROI. Don’t forget to subscribe to our blog for the latest investor advice, tricks, and tips to find investment properties!